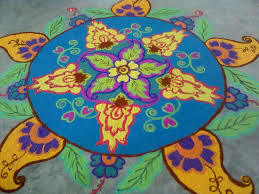 Eirene Mavodones will be teaching this ancient ephemeral art of Rangoli Sandpainting and will demonstrate the techniques at the Bradford Public Library. Please come participate in creating a large rice painting for the Bradford Public Library reading room 1/21 at 3:30. Patrons are encouraged to drop-in and help complete the rice painting throughout the following week. The program is free and open to the public.